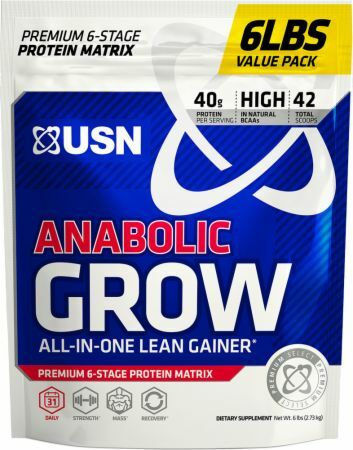 USN Anabolic Grow at Bodybuilding.com - Best Prices on Anabolic Grow! † Percent Daily Value is based on a 2,000 calorie diet. †† Daily Value not established. Maltodextrin, Protein Blend Complex (Whey Protein Concentrate, Hydrolyzed Wheat Protein, Whey Protein Isolate, Milk Protein Concentrate, Egg White Albumin, Hydrolyzed Whey Protein, Micellar Casein, Calcium Caseinate, Milk Protein Isolate, Skim Colostrum Powder), Cocoa Powder, Natural & Artificial Flavors, Sucralose, Acesulfame Potassium, Salt, Waxy Maize Starch, Creamer [Hydrogenated Coconut Oil, Corn Syrup Solids, Sodium Caseinate (a milk derivative), Mono- And Diglycerides, Dipotassium Phosphate, Sodium Silicoaluminate, Soy Lecithin], Dextrose, Barley Starch, Flax Seed Oil Powder. Contains ingredients from milk, egg, coconut, wheat, and soy. Made in a facility that also processes sesame, tree nuts and fish/crustaceans/shellfish oils. Take one or more full servings per day. 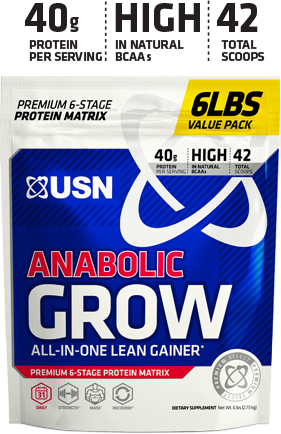 Add 3 scoops of ANABOLIC GROW to a blender filled with 17 - 20 oz (500 - 600ml) of water. Blend for 45-60 seconds. 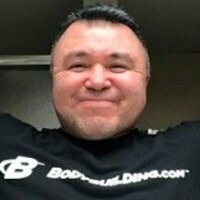 Mixing 3 scoops of ANABOLIC GROW with 12-16 oz of non-fat or low fat milk instead of water will give you thicker, creamier, higher-calorie shake. Warnings: Consult with your phyisician prior to use, especially if you have a medical condition. Taking more than the recommended dose may cause GI discomfort in certain individuals. Store in a cool, dry place.